A Silk Road to South America? 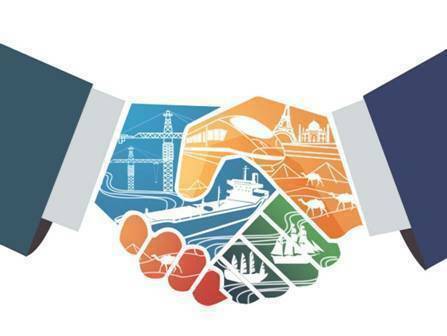 The Belt and Road Initiative opens the way for extracting challenges from opportunities through global interconnectivity between countries near and far – including South America. The May 14-15 Belt and Road Forum for International Cooperation (BRF) in Beijing was China's latest effort at injecting impetus into the Belt and Road Initiative (BRI) launched by President Xi Jinping in 2013. Attended by 29 government leaders and many other delegations from around the world, it summed up the long-held Chinese view that "every challenge brings opportunities." The Joint Communique notes that while the world economy is undergoing profound changes, "the Forum presented both opportunities and challenges" in "an era of opportunity, where countries continue to aspire for peace, development and cooperation." It also outlined the key aims and objectives, principles and approaches the leaders agreed to share to guide the BRI work at multilateral levels, including "North-South, South-South and Triangular Cooperation" across land, sea and sky to traverse many borders. The BRI is primarily aimed at linking Asia, Africa, Europe and the Middle East. However, it also has the potential to construct a bridge to South America, where leaders are already loudly talking about their own "Silk Road" dreams. One clause in the Joint Communique in fact opens the way for developing countries, no matter what their size. It states: "The least developed countries, landlocked developing countries, small island developing states and middle-income countries deserve special attention to remove bottlenecks of development and achieve effective connectivity." South America’s economic and trade ties with Asia have been strengthened lately, as Chile and Bolivia have joined the Asian Infrastructure Investment Bank (AIIB) and Argentina says it plans to follow suit. AIIB President Jin Liqun says better infrastructure across Asia will allow South American goods to access new markets, while more investment in South American infrastructure will naturally bring two distant continents (Asia and South America) closer. Chilean President Michelle Bachelet and Argentinian President Mauricio Macri attended the Forum, along with delegations from Bolivia and Venezuela. In Beijing, President Bachelet envisioned many projects capable of linking Asia with South America, including a possible joint investment in "a Trans-Pacific optic fiber cable to improve digital connectivity." Other investments on her mind include "tunnels and highways across the Andes Mountains and ports to link South America to Asia." Chile’s ambassador to China, Jorge Heine, recently wrote in China’s Global Times newspaper that: "As the Belt and Road Initiative puts international connectivity and infrastructure development at its core, South America should make the most of it." It was also his view that "for South American countries, associations with Asia represent the best hope" for realizing the envisioned "Silk Road" to South America. Venezuela also expressed support, with its Vice Minister of foreign affairs for Middle East, Asia and Oceania Felix Gonzalez saying his country’s wish is for disinterested countries "not to place any obstacles in the way of the B&R’s success." Venezuela already has strong and friendly relations with China and is planning to expand economic ties with nations participating in the B&R. China is currently the largest trading partner of Brazil, Chile and Peru; and Venezuela’s second-largest. President Xi pledged in 2016 to double bilateral trade between China and Latin America to $500 billion – and to increase China’s investment to $250 billion over the next decade. The Joint Communique also included another section that should help shape the Silk Road to South America, declaring that the leaders agreed to the "promotion of practical cooperation on roads, railways, ports, maritime and inland water transport, aviation, energy pipelines, electricity, fiber optic including trans-oceanic cable, telecommunications and information and communication technology, and development of interconnected multimodal corridors… and major trunk lines to be put in place for an international infrastructure network over time." China and some of its South American partners are already working in that direction. Following the Forum, President Xi met his Argentine counterpart Macri, proposing to dovetail the BRI with Argentina's development strategy. They also agreed on expanding cooperation in infrastructure, energy, agriculture, mining and manufacturing, and implementing existing major cooperation projects such as hydro-power and railway. Hailing Argentina's support and participation in the BRI, Xi stressed that South America is "a natural extension of the 21st Century Maritime Silk Road." The BRI does have the full capacity to help nations near and far – and to transform the big dreams of a Bridge and Silk Road to South America into a long-lasting reality. Earl Bousquet is a contributor to china.org.cn, editor-at-large of The Diplomatic Courier and author of an online regional newspaper column entitled Chronicles of a Chronic Caribbean Chronicler. Despite the long distance between them, countries in South America can also be perfect partners of the China-promoted Belt and Road Initiative.